haverhillchamber.com | W.O.W. Celebrates its “Emerald Anniversary”. 20 years of Winning Opportunities for Women! W.O.W. Celebrates its “Emerald Anniversary”. 20 years of Winning Opportunities for Women! W.O.W. Celebrates its “Emerald Anniversary”! 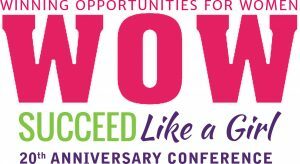 On Friday, April 15, 2016, the Greater Haverhill Chamber of Commerce’s, Winning Opportunities for Women (W.O.W.) Conference will celebrate 20 years of connecting, inspiring, and motivating women of all ages and professions at the Premiere Women’s Conference of the Merrimack Valley, featuring an exciting line-up of speakers. 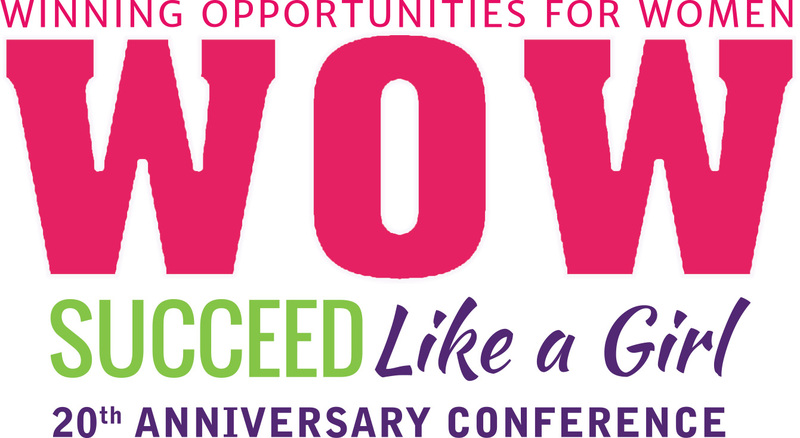 Honorary WOW Chairwoman, First Lady of Massachusetts LAUREN BAKER, invites ALL to be a part of this “Once in a Lifetime” opportunity to attend a women’s focused conference of this magnitude. The event includes the 1st Annual Pinnacle Awards – Presented by First Lady Baker. Recipients of these awards include: Dianne Anderson, Lawrence General Hospital; Jaqueline Maloney, University of MA, Lowell; Karen Andreas, North of Boston Media Group; Hon. Patricia Dowling, Essex County Court; and Janice Morse, Newburyport Five Cent Savings Bank. Robin Young Co-Host, Here & Now, WBUR – Emmy Award winning reporter Robin Young is host of WBUR’s highly regarded Here & Now. She has reported for NBC, CBS, and ABC television and for several years was substitute host and correspondent for “The Today Show.” In addition to numerous awards she was one of the first hosts on the groundbreaking Boston television show “Evening Magazine”. Author and motivational speaker Kara Richardson Whitely delivers brave, honest, and empowering messages Kara hiked Mount Kilimanjaro three times while weighing as much as 300 pounds. “Fat Woman on the Mountain” was published by Seal Press in Spring 2015. It has been called one of “Five Fabulous, Possibly Life-Changing Books” by Redbook magazine. Hometown hero, Jillian Cardarelli began her country music career in Haverhill. Now a budding country music star living in Nashville, the singer/songwriter has shared the stage with such greats as Reba McEntire, Dierks Bentley, Scotty McCreery, Willie Nelson, and Alabama. W.O.W. was started in 1996 by the Greater Haverhill Chamber with the conviction that when women of all ages and backgrounds gathered together in one room amazing things happen, and they were right! As W.O.W turns “twenty”, it continues to grow and strengthen. The co-chairs of the W.O.W 2016 Conference are Dianne McDermott, McDermott & Co. Marketing; Clare Macoul, Bank of New England; and Sally O’Rorke, Gold Leaf Fine Jewelry. The planning committee consists of over 15 business women who are members of the Greater Haverhill Chamber of Commerce. This 20th Annual W.O.W. Conference is generously sponsored by Gold Leaf Fine Jewelry, Anna Jaques Hospital, Northern Essex Community College, Women’s Health Care Haverhill, Smith Motors, The Eagle-Tribune, Trinity EMS, Haverhill Bank, Pentucket Bank, Lowell Five, Holy Family Hospital, DiPietro Heating & Cooling, Align Credit Union, Wilder Construction, HMF Printing and McDermott & Company Marketing. Last year was a SOLD OUT event and tickets for this very special 20th Celebration will sell quickly. Early bird conference registration is $89.00 per person until March 15, 2016. Following the March 15 deadline registration is $99.00 per person. Seating is limited and pre-registration is required. Registration deadline is April 8, 2016. To register or receive more information on table and student rates, please visit www.haverhillchamber.com or contact Melissa Seavey at 978-373-5663 or melissa@haverhillchamber.com. Sponsorship packages are available, and vendor inquiries are welcome.